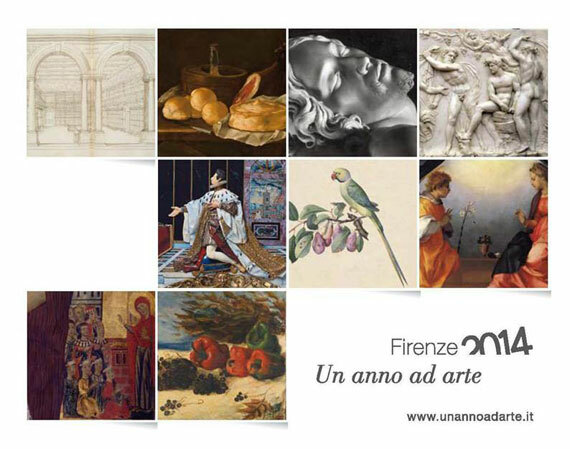 In 2014 the Polo Museale Fiorentino offers another “A Year of Art”, the series of exhibitions organized at the main city museums, from the Uffizi to the Accademia. This year 9 exhibitions are scheduled and will be hosted in 6 of Florence’s museums. 133 treasures found in the manuscripts, drawings and books from over 30 institutions and citizens are gathered together for the very first time, some never having been shown to the public. An example of the treasures on display: an edition of Vasari’s “Lives” from 1568, a page with sketches by Michelangelo Buonarroti, the original signed law abolishing the death penalty in Tuscany by Peter Leopold of Lorraine. An exhibition with a wide selection of paintings belonging to Collection Pradelli Molinari, the famous conductor of the 1900s who throughout the course of his life collected works he liked and, in particular, works from the Italian seventeenth and eighteenth centuries. A special exhibit to mark the 450th anniversary of the death of Michelangelo Buonarroti by bringing together his work as seen through the lenses. The show has photographs of his works as well as nineteenth century to contemporary paintings and sculptures inspired by the great artist. Considered the greatest sculptor of his time, along with Michelangelo, this special exhibition brings together all his works, sculptures and paintings (that could be moved, of course). The exhibition presents a selection of works from the “Chapel of the Relics” in Pitti Palace, built by Cosimo I and enriched in particular by the Grand Duchess Maria Maddalena von Habsburg, who was deeply religious. The court artist for Grand Duke Francesco I, where he distinguished himself by designs of nature, but also portraits, historical paintings, works on religious themes and designer clothes and embroidery for fabrics. Eighty works by over thirty artists including painters and sculptors of the Florentine area between the sixteenth and the seventeenth century. A collection of works of high art of the period between the thirteenth and fifteenth centuries from famous Italian collections. Paintings, but also sculptures and miniatures of famous Italian masters. Not only an exhibition, but a hypothesis of a new museum with masterpieces of the 900 currently held in storage at the Gallery of Modern Art. For further details, visit the website Un anno ad Arte.